I've been enjoying a glass of wine or two; a beautiful way to wind down after a busy day! Special delivery from Sacred Hill wine arrived on Thursday this week, on the shortest day of the year. Time to rug up with a beautiful blanket, get cosy and enjoy a relaxing evening spent by the fire at home. 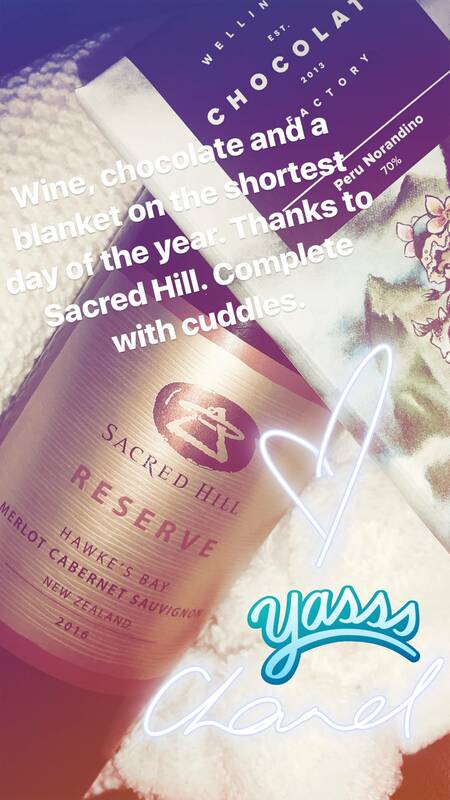 I've really been enjoying Sacred Hill wine lately, and they have crafted the perfect wine match for a winter evening, the 2016 Sacred Hill Reserve Hawke's Bay Merlot Cabernet Sauvignon. This wine has complex and enticing aromas of vanilla pods, dark chocolate, crushed berries, dark fleshed plums, and spice. Time to cook a beautiful beef or lamb dish to enjoy with or if you'd like to treat yourself a little, dark chocolate treats will do. To relax in the evenings, I turn to the luxurious collection from one of my favorite brands; The Body Shop. The luxe collection is The Body Shop's fourth regime to their Spa of the World range: the new Firming Ritual, designed to empower skin, body and mind. My shower routine this week has been trying out this new collection and I've been trying and loving the Refining Body Scrub ($62). The grape seeds are prized for their high polyphenol content, which is a powerful antioxidant known to firm the skin. This new scrub helps invigorate, exfoliate and refine my skin. The grape seed powder is from France and Trade Organic Sugar is from Paraguay. Together, it helps awake and revive the senses. After my shower, I turn to the absolutely delightful Firming Body Cream ($79.50), so so divine. Caffeine is renowned for its refining, firming and toning properties and the body cream entails of organic Ethiopian green coffee which had been hand-harvested from the Kaffa region, which is known around the world as 'the home of coffee'. 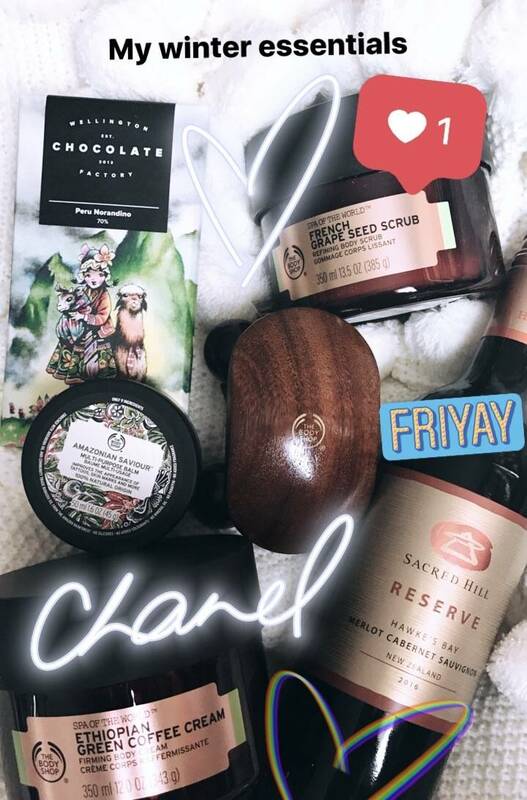 With some Firming and Toning Body Oil ($39.95) which nourishes my skin, this is especially a beautiful time to bond with your other partner, giving each other massages. The Indian Turtle Massager $35 is perfect to stimulate blood flow when used with a rolling massage technique. This was developed by the Community Trade craftsmen in India and the wooden massagers are crafted from Acacia Magnium trees and by highly skilled artisans at Teddy Exports in Southern India. And, of course the new Amazonian Saviour Multi-purpose Balm is a must-have in every girl's makeup/overnight bag. As the name would suggest, it's a handy little thing for so many various uses. You can use it on dry lips, nourishing dry skin, softening and conditioning nail cuticles and use it to soften areas which may cause blisters. At the end of the day, it's important to balance one's body and mind. These gorgeous additions to the Spa of the World range will be available at The Body Shop from 31 July 2017. I don't only travel during summer. 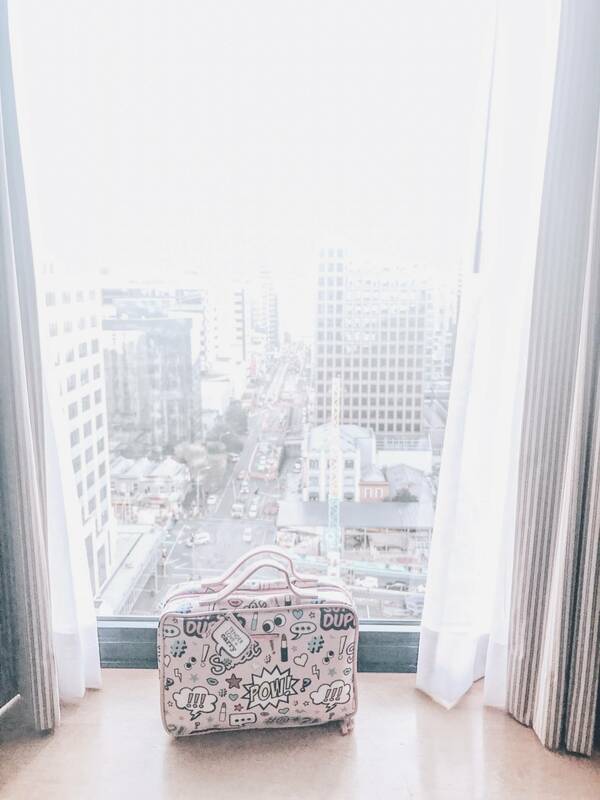 I love traveling, as cliche as that sounds, and during winter, I tend to indulge in staycations or mini road-trips away. Sometimes, I escape to a tropical island or I'd fly for some fun in the snow, which reminds me of my new little travel companion. Street style and art collide this season. The Pop Art trend originated in the 60s, and the style combines street murals, abstract elements, graffiti and sketchbook drawings. The red pouch (below) is $16.95 and you can shop the collection at My Beauty Store. I am so in love with the new Tender Love + Carry collection from The Beauty Collective. I've been purchasing Tender Love + Carry makeup bags since my student days in University, so it's a brand close to my heart. However, this new Pop Art collection is my favorite yet! 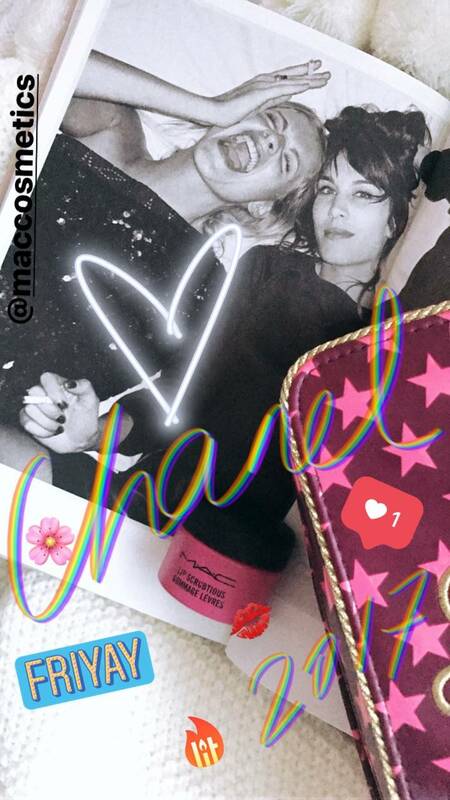 So much fun and pink (my favorite color) if you haven't already guessed! 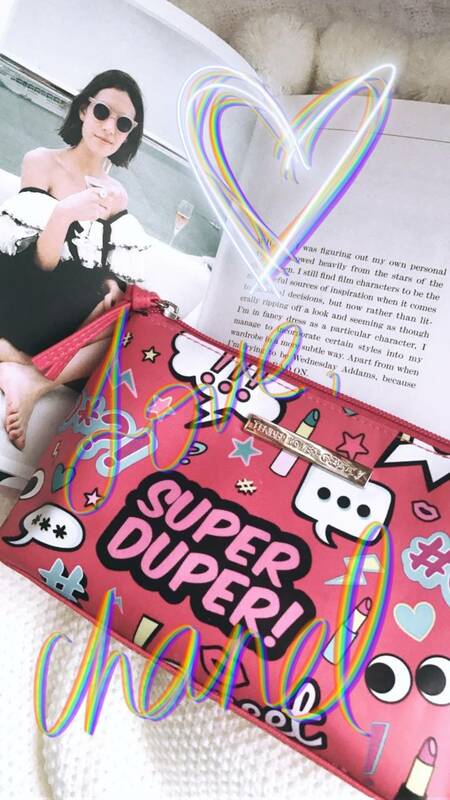 I would usually alternate between my makeup bags, but I have a good feeling that I will be taking this new baby pink Pop Art Hanging Washbag ($44.95), everywhere with me, and won't be using any other makeup bag, anytime soon!! I know it's a washbag, but it's versatile and I use it to take my go-to makeup and skincare products with me. 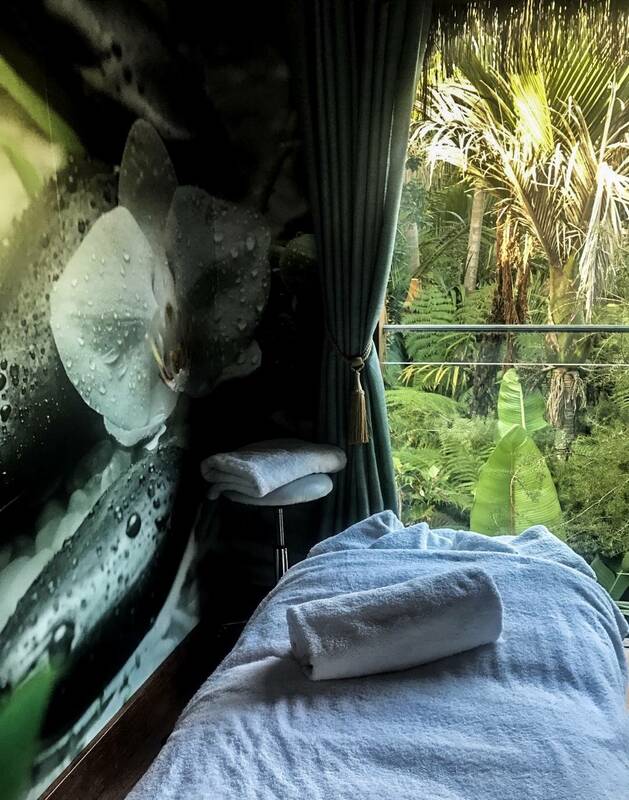 I had a really special time at The Lost Spring, last weekend in Whitianga (Coromandel). Highly recommend heading there, especially if you're looking for a beautiful thing to do, this winter. It's private, romantic and a lovely escape from the hustle and bustle of city life. A mini road trip also means that you're able to clear your mind, ignore your emails for a little while and switch off, and just be still in the moment. I can't emphasize enough how amazing that feels. Being still in the moment, is something I've been practising regularly these days. Dry lips are never okay, I cannot stand it! I can't live without my M.A.C Cosmetics Lip Scrubtious. I take it everywhere with me. This new sugar-based exfoliator gently buffs away dry and flaky skin, with a formula enhanced by hydrating conditioners leaving lips soft and oh-so-kissable. Available in five flavours including Candied Nectar, Fruit of Passion, Summer Berry, Sweet Brown Sugar and Sweet Vanilla (RRP $32 each), at all authorized M.A.C Cosmetics stores. 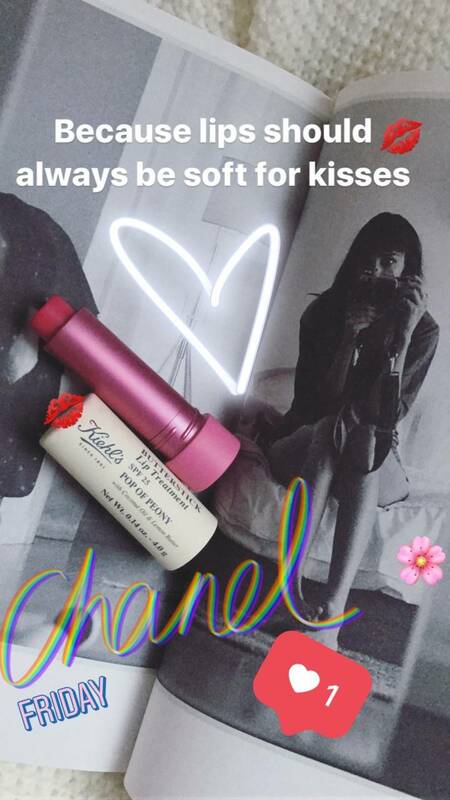 Alongside the Lip Scrubtious, I've been loving the Kiehl's Butterstick lip treatments. It's a multi-benefit lip treatment collection available in both clear and sheer hues, to hydrate and protect lips with SPF 25 protection. Made with a blend of nourishing coconut oil and anti-oxidant rich lemon butter. Available at all Kiehl's flagship stores, in four shades and I'm loving it in Touch of Berry and Simply Rose RRP ($38). Because lips should always be soft for kisses.